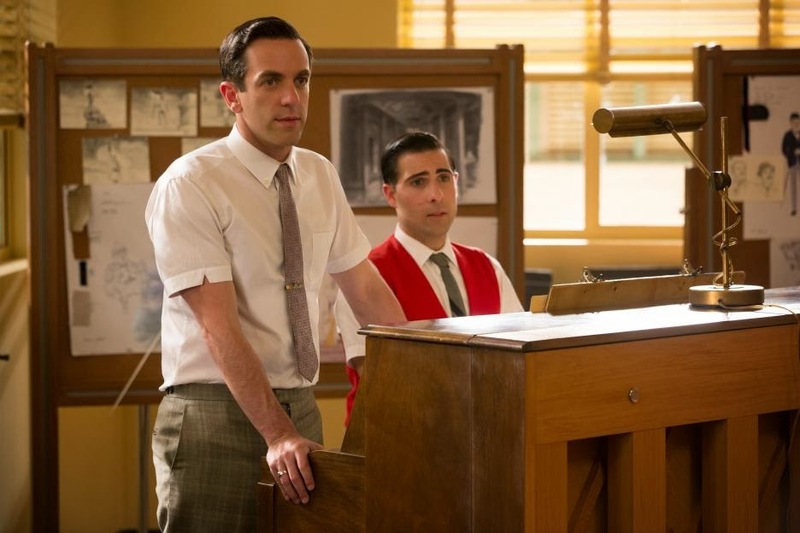 Saving Mr. Banks tells the story of P.L. Travers, the author of Mary Poppins, as she allows Walt Disney and his story men/music men to turn her lovable story into a lovable "Disney" film. Travers' backstory is essential to understanding her motivation behind Mary Poppins, and her intense desire to protect the story. It turns out Mary Poppins is a far more personal story than the Disney film would indicate. The trailer even gives it away, but it's more about the father than we ever really thought. As the trailer states Mary Poppins does not come to save the children, she comes to help her kids save their father. Travers is constantly going into her memories, that are shown in the form of flashbacks. We see her as a child spending time with her father, who is a loving father, but he cannot keep a job and worse yet, he's an alcoholic. Perhaps an escape for himself as much as his children, he tends to play with them in an attempt to encourage their dreams and imagination. It's clear that Travers loves her father and it is clear to her that Disney and his team don't get the point of her story. It takes time for the filmmakers to understand her story, and Travers to come around on the idea of turning it into a "Disney" film. She holds the rights to make the film and dangles it in front of Disney throughout the film, but threatens to walk away if he tries anything she doesn't approve of, which as it turns out is just about everything Disney did with the film. Eventually the lovable songs melt her cold exterior, and they find a way to meet in the middle. We know the film gets made in the end, of course, but getting there gives us an interesting background of the author herself and the motivations behind the story that are simply not clear from the 1964 Disney film. 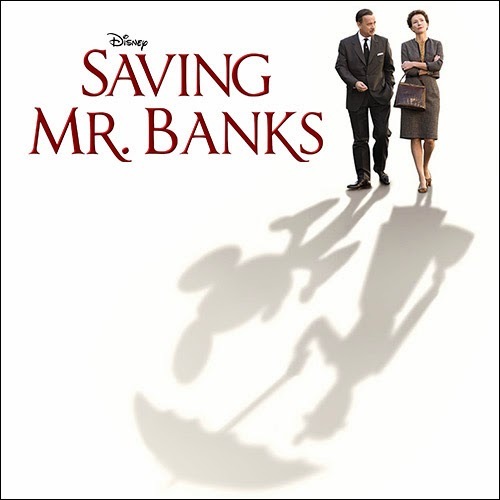 Saving Mr. Banks, is not a romantic love story (although it may be the love story between a father and daughter), but it follows all the same beats. Girl meets guy. Girl doesn't like guy, she's even a little stiff and boring (although funny). Eventually she warms up to guy's charm, but guy finds a way to blow it and she leaves angrily (possibly hurt). Guy goes after her and makes an impassioned speech to melt her heart and win her back. It's pretty formulaic in that sense, but that doesn't hurt the film. For a Disney film it has some darker themes, and is certainly an emotional story. The performances are all very strong, Emma Thompson as P.L. Travers is especially good, and although he is good, I couldn't help see Tom Hanks the whole movie instead of Walt Disney. Clearly Walt and his team were determined to make Mary Poppins the Disney way, and he was as uncompromising and determined as P.L. Travers was about her book. Watching the two of them clash is entertaining, and there are a surprising number of laughs in the film. As we know, eventually the Disney charm won over most people, Travers included. Although Travers had significant input on the story itself, Disney, ultimately, got his wish to make the film and to make it in his way stylistically. In the same way, this film is made in the modern "Disney" way. It's safe, it's got some humor, and is pretty heartfelt, but it's a solid film worth seeing if you have any interest in Disney, or Mary Poppins and its author.